Some investors are considering preferred stocks with yields as traditional fixed income assets grind along at historical lows and look to rise moderately under a go-slow Federal Reserve approach. Guess what? After reading this article, you’ll start to know the difference. Preferred stocks behave like a hybrid investment. They have characteristics of common stocks and bonds. The price of a preferred stock fluctuates, but typically fluctuates less than common stock. And like a bond, a preferred stock regularly pays income. The difference is that preferred stocks pay income in the form of a dividend, where bonds pay interest. Most corporate capital structures include senior secured debt, senior debt, subordinated debt, preferred stock, and common stock. Senior secured debt is the lowest risk and common stock is the highest risk. This has to do with the claim investors have on a cooperation's assets. Suppose a company hits the skids, enters into bankruptcy protection, and is forced into liquidation. 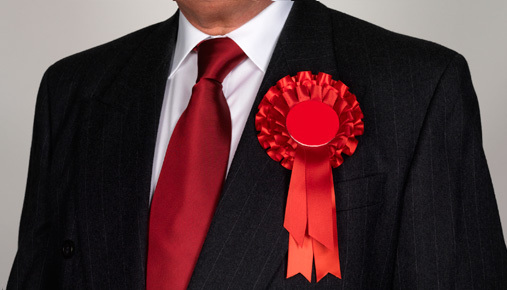 The senior secured debt holders are paid first. If anything is left, the money trickles down, with common stock owners paid last. Investors can buy and sell preferred stocks just like common stocks. The symbols often include a letter describing the series, such as: XYZ-A. It’s important to research the specifics of a preferred stock because some corporations issue many different types. If you need help, contact your broker, or you can search your broker’s website (see figure 1). FIGURE 1: SCREEN TEST. 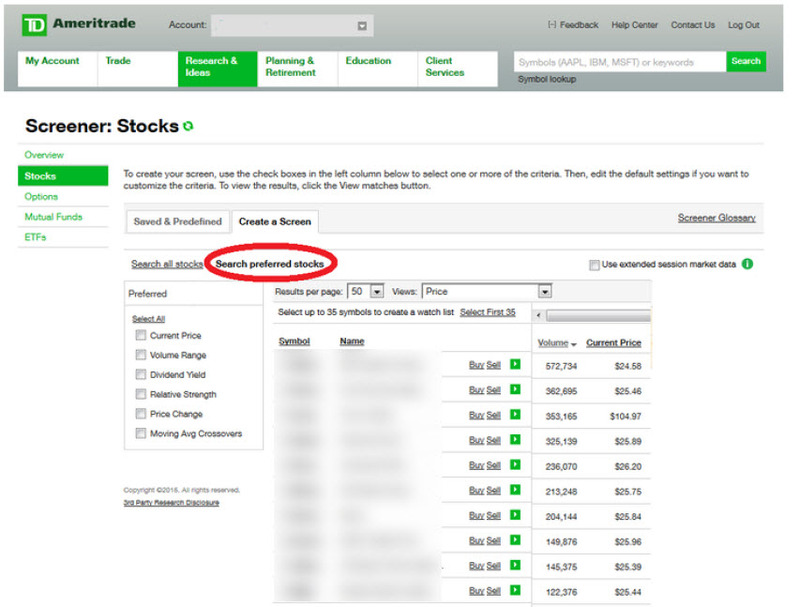 The stock screener page on tdameritrade.com lets you select customized criteria, including a search for preferred stocks. To get there, log in to your account at tdameritrade.com > Research & Ideas > Screeners > Stocks. Select "Search preferred stocks" under "Create a Screen." Then select the criteria that are important to you. For illustrative purposes only. Many preferred stocks are priced around $25 per share and typically experience smaller price fluctuations than common stocks. Many are issued by financial companies. Volume in preferred stocks tends to be much lower than volume in the issuing company’s common stock. Some preferred stocks might trade only a few thousand shares per day on average. The lack of volume can be a risk and lead to low liquidity; preferred stocks can have wide bid/ask spreads, which is the difference between the bid and ask sides of a stock quote. Limit orders can help manage this risk and ensure you get the price you want. Another risk with preferred stocks is rising interest rates. As with debt investments, rising interest rates can devalue preferred stocks, which have debt-like features. But here’s where preferred stocks get interesting. This moment in financial history is unique because interest rates across the developed world are at or very near zero percent. Many rates around the world are negative after accounting for inflation. You can thank your local central banker for this. The yields across preferred stocks are downright juicy compared to other yields around the world. Many preferred stocks offer annual yields of 5, 6, and 7%, or even higher. Of course, with these increased yields there is also increased risk when compared to fixed-income investments. Remember, preferred stocks have characteristics of both common stocks and bonds. Importantly, they pay regular dividends. And just so you know, livestock does not.